The stratovolcano with the highest lake in the world. 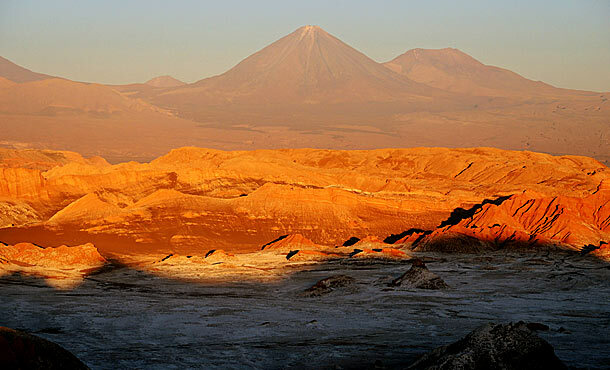 If you are in the Atacama desert – one of the driest deserts in the world –, the striking Licancabur immediately catches your eyes. 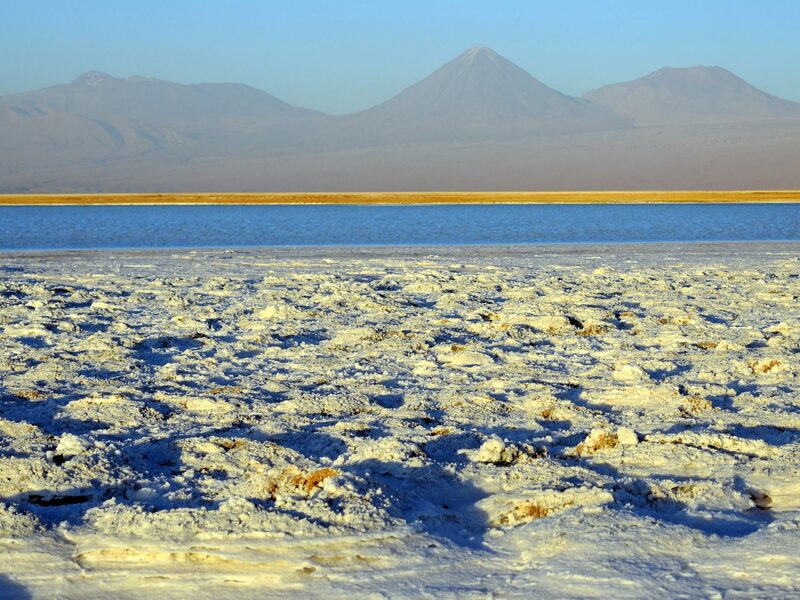 It is one of the most impressive volcanoes in the Andes of South America and is easily visible from a distance. Through its equally steep shape, the desire to climb it immediately comes up.  But the ascent is only possible from the Bolivian side, as on the Chilean side, the entire area is mined since the border conflict at the end of the seventies. Climbing up from 2500 m to 6000 m height in only two days, is this possible at all? I certainly had my doubts. 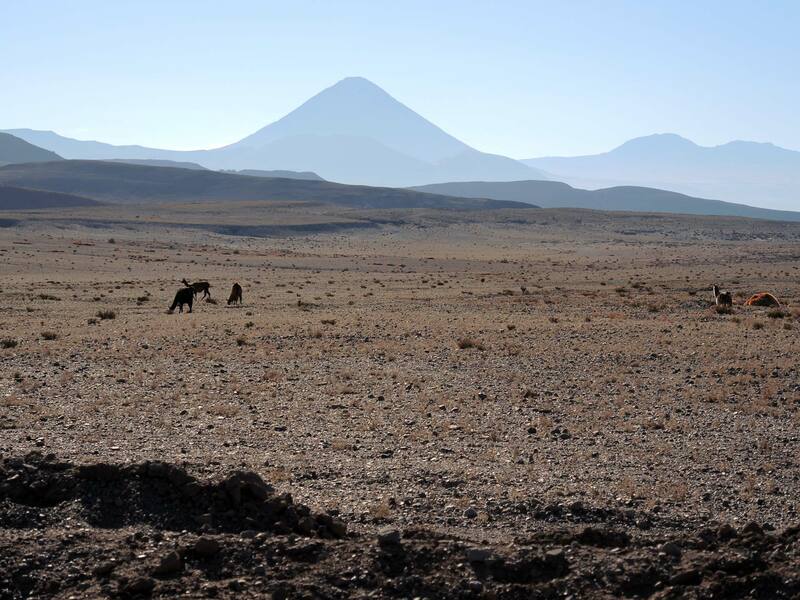 After we spent a few days in San Pedro, a village in an oasis of the Atacama desert at an altitude of almost 2500 m, we took the bus to the Chilean/Bolivian border. Once there, we walk through a boundary trench and straight to the Bolivian customs house, the only hut far and wide. There you have to submit the mandatory entry documents. We continue hitchhiking by a jeep to the entrance of the National Park “Reserva Nacional de Fauna Andina Eduardo Abaroa”. 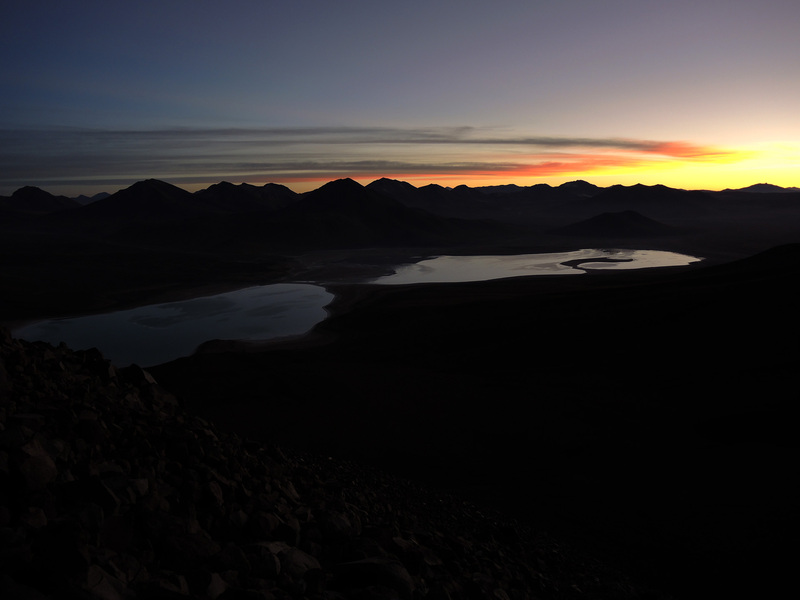 We spent the following night in the accompanying hostel at an altitude of 4400 m. At 2:30 o’clock in the morning, a driver with his jeep picked us up and brought us the beginning of the climb (near the archaeological site of the former Inca buildings) on the east side of the Licancabur at 4600 m above sea level. From there you follow the clearly visible path to the summit. 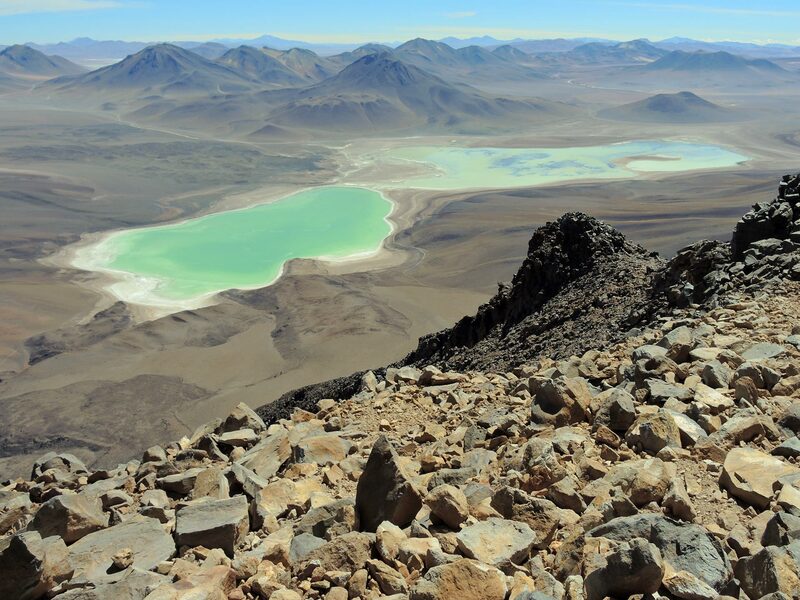 The climb itself isn’t technically challenging, but physically very demanding and very tedious because of the soft volcanic ash, the sharp-edged boulders and the high altitude, combined with the short-term acclimatization. 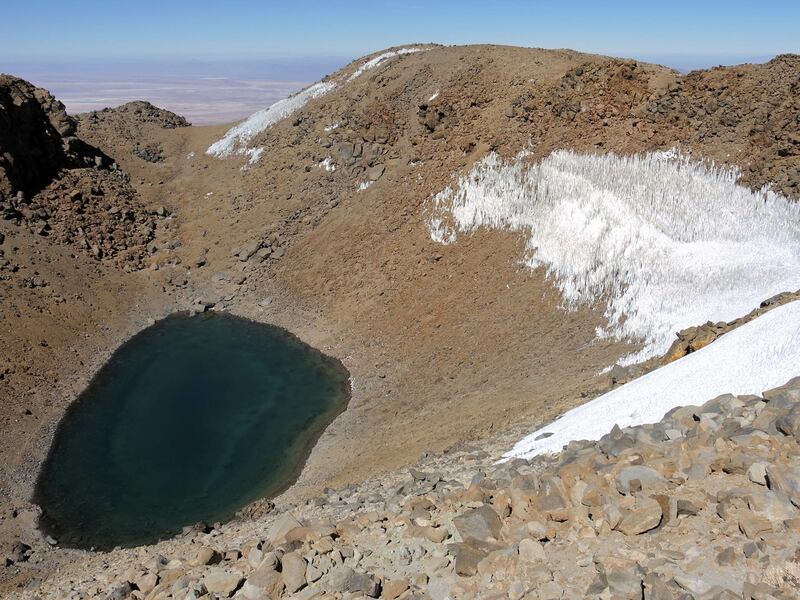 In 2006 the U.S. space agency NASA sent some expeditions to the Licancabur to investigate the freshwater crater lake with its special flora and fauna. Here the scientists suspect similar living conditions like on other planets. 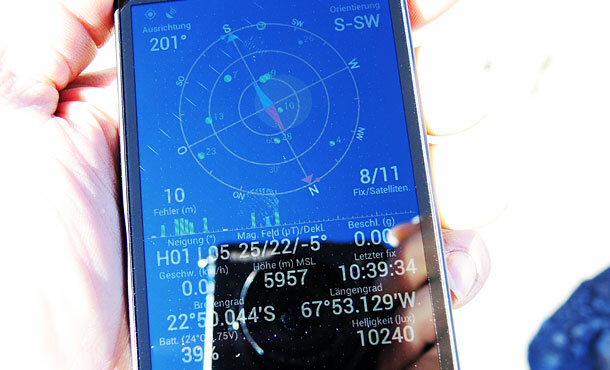 In the course of investigations the peak was measured with an altitude of 6004 m. However, I could not confirm this height on the summit with my GPS device. 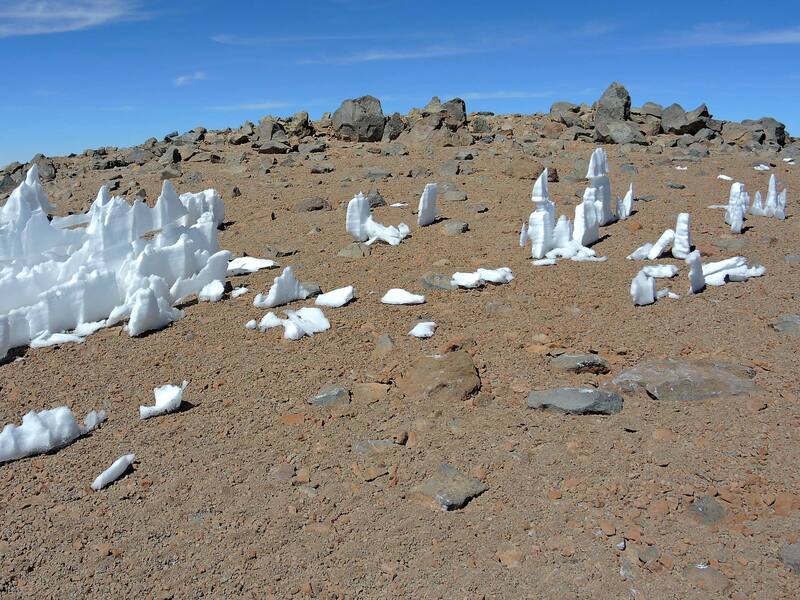 The heights vary on different maps and in the literature between 5920 m and 5961 m. Therefore, the Licancabur is more likely an “almost-6000”.